I have been looking for meals that I can carry around with me easily without having to use the microwave because I am going on a cruise! Yes! I am so excited. When my hubby gets back home for a little rest and relaxation we decided to take a little trip to Mexico. The problem of course is all that wonderful food I have to avoid on the big boat. I will be sure to pack enough meals for the trip and in the meantime find meals I can make ahead so that I can bring on my trip. Oh the temptation that I am going to be exposed to but I am going to try my best to stick to the plan! 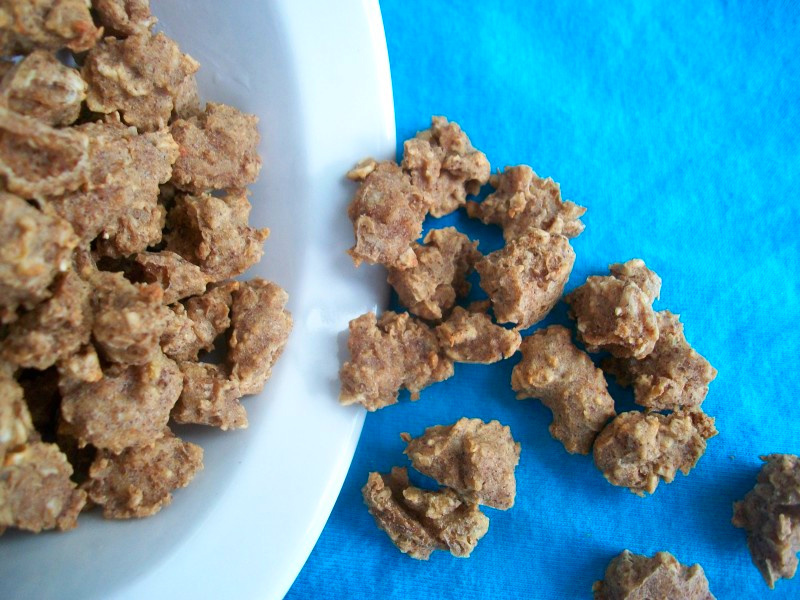 Here is one recipe I really like for a snack and allows me to use up my oatmeal. It didn't really get as crunchy as I would like but maybe next time I will try leaving it in the oven a bit longer and making it into smaller pieces. The taste was still good, but it reminded me of oatmeal cookie crumbs rather than granola.The original recipe actually called for two packets of splenda, but I think one works fine for me. I also only used 1/2 tsp of cinnamon rather than 1 tsp. I hate using all my condiments on a meal. I would rather save them for my lean and green. Hope you enjoy it! Preheat oven to 400 degrees. Combine ingredients and add enough water to get the granola to stick together (I used about 3 - 4 tbsp). Then drop by tiny pieces onto a cookie sheet sprayed with non-stick cooking spray. Separate if necessary. Bake about 8 minutes, turn and bake another 3 to 4 minutes. It should be brown and very crunchy when done.